What are the experiences and expectations of UK tenants? The latest research from the Nationwide Building Society breaks down the stereotype of students looking for a chaotic existence in a shared house as it no longer applies to those renting a home from a private landlord. According to the research, they are in fact more likely to be couples (47%), living alone (30%), or families (11%), rather than young people living with university friends (7%). The data also showed that more than a third of men surveyed (35%) rent a home alone, compared to one in four (25%) women. This is most likely to be caused by a lack of affordability or a change in life circumstances. More than 2,000 UK tenants that are renting from a private landlord participated in the YouGov survey which provided a wide snapshot of the diverse experiences and expectations depending on their age, their life stage, the route to renting, and their location. This also highlighted the many realities that UK tenants experience every day. For almost half of the UK tenants surveyed (46%), said that their main reason for renting from a private landlord was because they could not afford to buy a property. However, the data also revealed that more than one in ten (11%) said that their reason was due to change in circumstances, such as the breakdown of a relationship, which leaves them renting. The likelihood of this grows with age, with 15% of over 55s citing this as their main reason for renting. The other reasons for renting are having to leave a previous home (6%) and lack of social housing (4%) – whilst others choose to rent because it provides them with more flexibility (6%) or because it provides easier access to their work (5%). The survey also shows that more than three quarters (78%) that are renting flats or houses, rent the entire property, and one in five (20%) just rent a room. This figure rises to more than a third (36%) of those that rent in London. This is most likely to be due to the affordability and the availability of properties. Once UK tenants start renting from a private landlord, they stay an average of four years and two months. 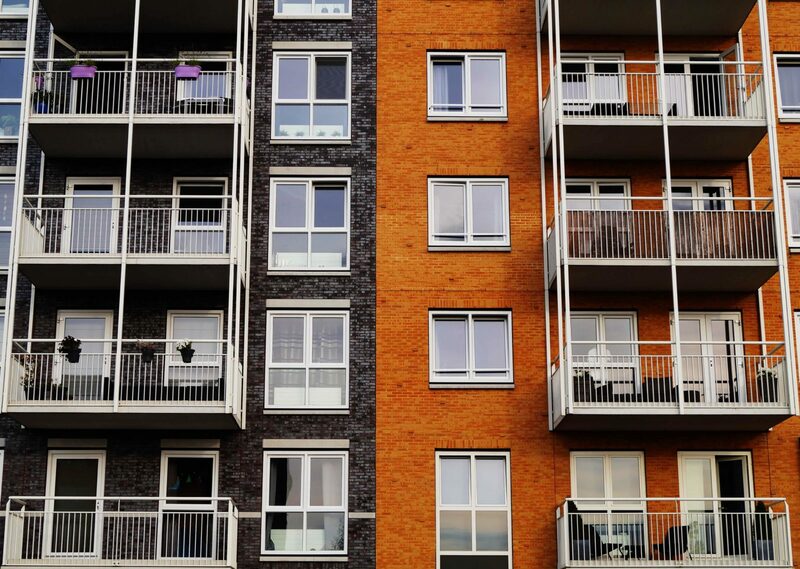 However, according to the research, almost one in three (31%) of tenants stay for five years or more and one in eight (13%) tenants stay for ten years or more, which rises to almost one in five (19%) of those renting on their own. Out of those that stay for ten years or more, 20% of those are aged 45 to 54-year olds and 28% are aged 55 plus. The research shows that the older tenant, the longer they seem to stay., with the average length of tenancy duration for those aged 18 to 24 years old are just over a year, whereas 25 to 34-year olds stay an average of two years and four months. 35 to 44-year olds tend to stay an average of four years and five months, 45 to 54-year olds stay an average of five years and eight months, and those that are aged 55 plus stay an average duration of six years and nine months. To conclude, the research from the Nationwide Building Society also revealed that the average UK monthly rent is £562.05, although there is one in seven (14%) that pay more than £800 for rent. After paying for the rent, bills, and food, the average UK tenant has £314.45 left of monthly disposable income. The research also found that on average, men are left more than one hundred pounds better off than women (£372.84 vs £264.69).